This convenient worktext gives students a unique approach to learning, remembering, and reviewing how to use Spanish verbs correctly. The book provides a systematic presentation and review of Spanish verb forms and explains when and why a certain verb tense should be used. 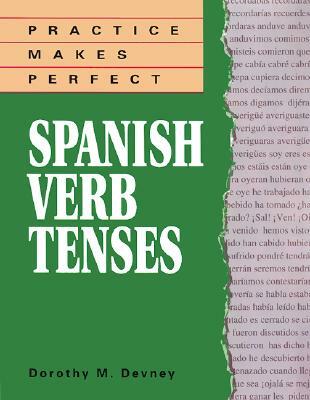 "Practice Makes Perfect: Spanish Verb Tenses" includes an impressive number of exercises and open-ended questions, numerous conjugation charts, a list of verbs and their prepositions, and Spanish-English and English-Spanish vocabulary lists.